The cancer-stricken pastor of a small church is drawn into the world of environmentalist terrorism. 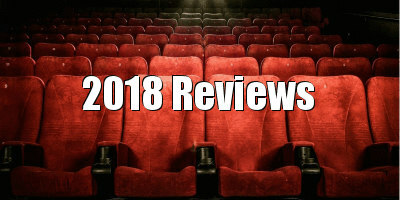 Film criticism and the priesthood have much in common. The primary function of both critics and priests is to deliver an interpretation of someone else's text to an audience seeking guidance or enlightenment. Before he became the key screenwriter of the 1970s New American Cinema/Movie Brats movement, Paul Schrader plied his trade as a film critic, a protégé of Pauline Kael. Before that he was a student of theology. 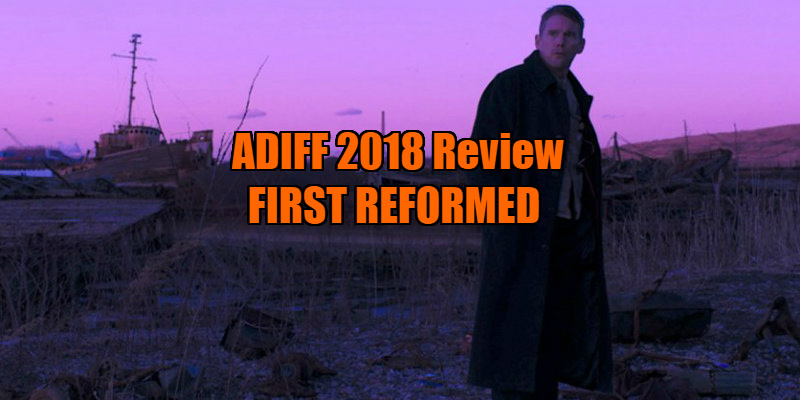 With his latest and perhaps greatest film, First Reformed, Schrader combines both his passions to deliver a movie that will provide food for thought for cinephiles and seminarians alike. In what may be looked upon as a career defining performance (if Schrader's film finds an audience), Ethan Hawke is quietly mesmeric as Reverend Toller, the cancer-stricken pastor of a small Dutch Reformed church in rural New York. The film's title refers to both a thematic element and to the building at its centre, a beautiful small colonial era temple that Schrader and cinematographer Alexander Dynan present in almost fetishistic detail, applying something of a cubist approach to how they leave no nook or cranny of the building unexposed. The church is as much a lead character as its pastor, and we learn a lot about its history, of how it was built by Dutch settlers in the 18th century, how it provided refuge for slaves escaping from the South through the underground railroad to Canada, how it's a building that has stood for traditional Christian principals. Even the most cold-hearted fan of Norwegian Black Metal couldn't burn this church down. If you've seen Schrader's maligned The Canyons, with its montages of decrepit, crumbling cinemas, you know he cares about the importance of temples, both secular and sacred. In contrast to the diminutive but dignified First Reformed is its sister church, Abundant Love, a modern mega-church that seats 5,000 parishioners and courts local businesses with anarcho-capitalistic working practices old J.C. himself might frown upon. Toller lives and works in the shadow of Abundant Love, his little church derogatorily referred to as a 'souvenir shop' in comparison. 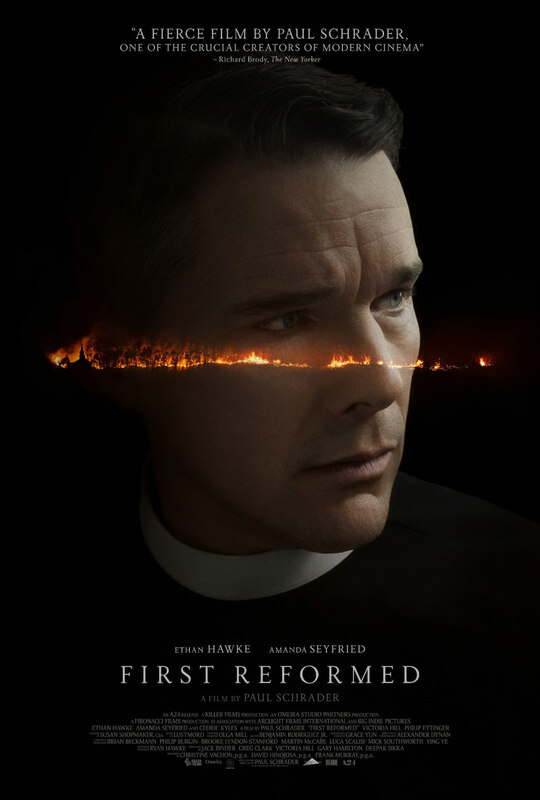 First Reformed has a mere handful of regular attendees, but its numbers increase when a young couple, Mary (Amanda Seyfried) and Michael (Philip Ettinger), move into town. The pregnant Mary asks Toller if he might speak with Michael, an environmental activist who believes a child shouldn't be brought into a world on the verge of extinction. Listening to Michael speak passionately about his fears for the future of the planet, Toller finds himself reinvigorated, and adopts the environmentalist cause himself, making an enemy of Abundant Love and its financiers, and becoming increasingly unstable and fundamentalist in his growing belief that a violent course of action must be taken. First Reformed is a spiritual sequel to Taxi Driver, and I'm sorry if that sounds like an unintentional pun. Like Travis Bickle, Toller is a military veteran whose self-isolation from the world and judgmental standards set him on a path to what he believes will be cathartic violence. There are scenes that feel reworked from Schrader's script for Scorsese's finest film: the protagonist's humiliation of an angelic female love interest; a violent political cause adopted by someone who doesn't fully understood what he's striking out against; a plea for guidance from a father figure with no good advice to give (Cedric Kyles' hucksterish Abundant Love pastor filling in for Peter Boyle's veteran cabbie, advising Toller not to spend so much time in 'the garden'); and a protagonist with a diet of alcohol poured on corn flakes. There isn't a figure like Jodie Foster's teenage prostitute that Toller naively attempts to save; rather there's Mary, who wants Toller to save her, but he's too blinded by his fundamentalism to realise it. He may be of a Protestant faith, but with his stern haircut, flowing black gown and gaunt features, its impossible not to compare Hawke's Toller with the Catholic priests played by Montgomery Clift, Claude Laydu and Michel Piccoli in Hitchcock's I Confess, Bresson's Diary of a Country Priest and Buñuel's Death in the Garden respectively. It's Bresson's film that casts the largest shadow, Schrader heavily borrowing its cancer subplot, along with the idea of a larger Church establishment straying from its core principles. There's a touch of Daniel Day Lewis about Hawke's performance here, and if Schrader ditched his film's main plot and simply gave us two hours of Toller pottering about his church it would still be a contender for the year's most compelling film. The act of terrorism Toller plans will take human lives, but also destroy his church if executed correctly, and it's this element that makes me wonder if Schrader's film is a confessional about the doubt and despair that afflicts every writer. With less than a handful of parishioners attending his church each Sunday, will Toller and his little church be missed? Through the figure of Mary (I'm no theologian, but I'm pretty sure Schrader didn't pick that name out of a hat), Schrader makes it clear that at least one person will miss Toller. As a writer, knowing you have an audience is what keeps you from chucking your laptop out the window, and as First Reformed ultimately displays, if one person might miss your words, it's worth continuing to write them. The contemporary audience for Schrader's work may be a fraction of that of his '70s prime, but his words still affect us, perhaps now more than ever. As long as he keeps penning sermons, we'll keep listening.